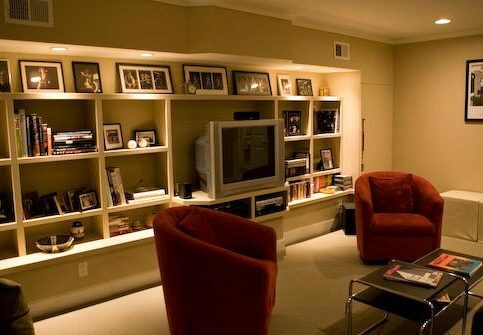 Are you looking for a place to relax and entertain? 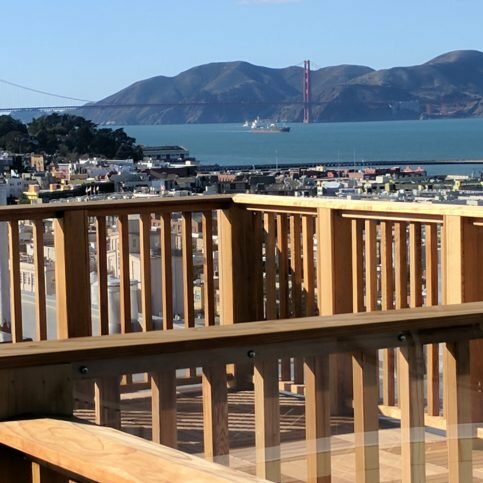 Today more and more homeowners are creating their own retreat by hiring a San Francisco deck and patio contractor to build a new deck or patio for their homes. Deck and patio materials come in a variety for you to choose from according to your taste and your budget. Choosing a deck or patio to blend with your home’s style is also important. 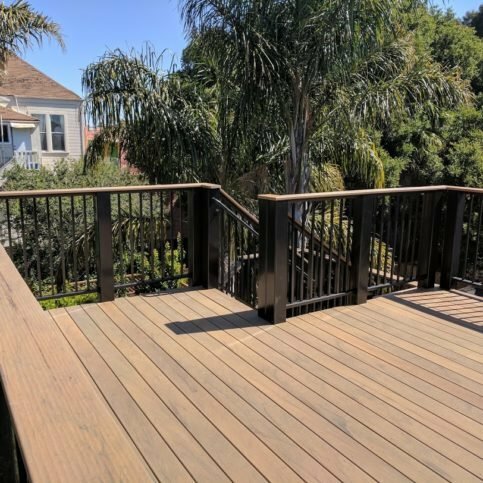 A good San Francisco deck and patio contractor will design your deck or patio just the way you want it by including the many features you are looking for. 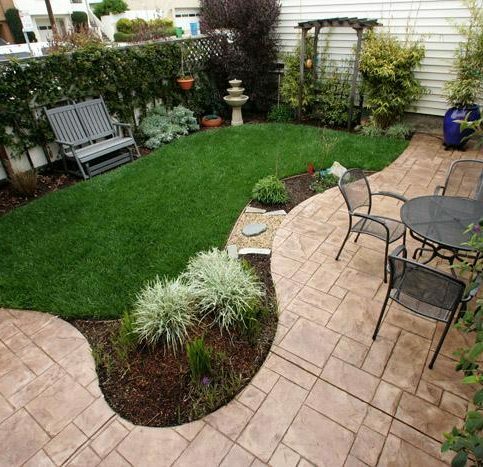 They have helped many homeowners design creative outdoor areas and they will take many things into consideration. They will consider the size of your outdoor space and how it fits with your home along with which colors to choose and the location. The end result will be the perfect deck for you. You need to know that you are hiring true professionals who will give you the high-quality results and good customer service that you want. That is why research is so important. 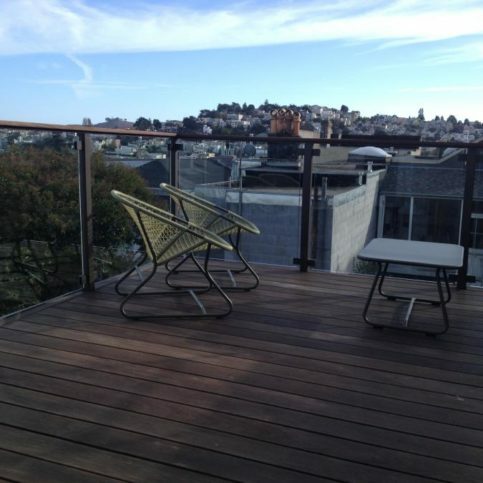 Research will allow you to find and hire the best deck and patio contractors in San Francisco. 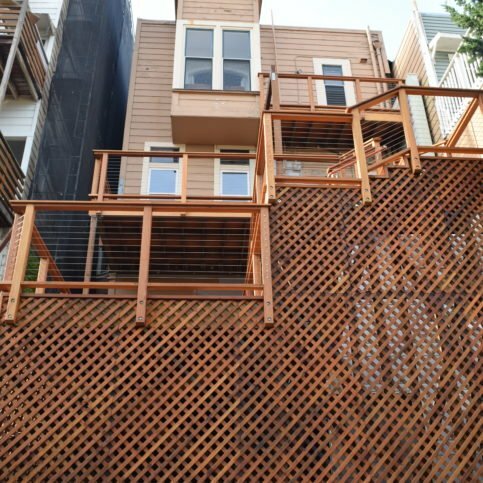 Most homeowners don’t even know where to begin when it comes to hiring a good San Francisco deck and patio contractor. 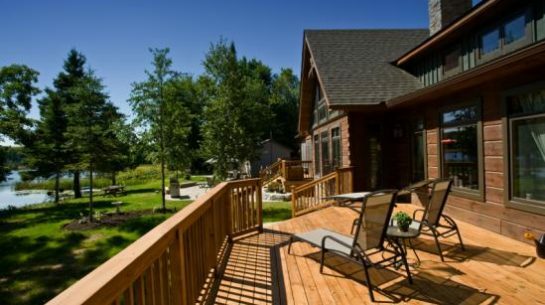 How do you know that the great looking finished deck or patio is really built to last? The process is easier than you expect. You need to make an informed decision that will save you time and money. Research is available to you. 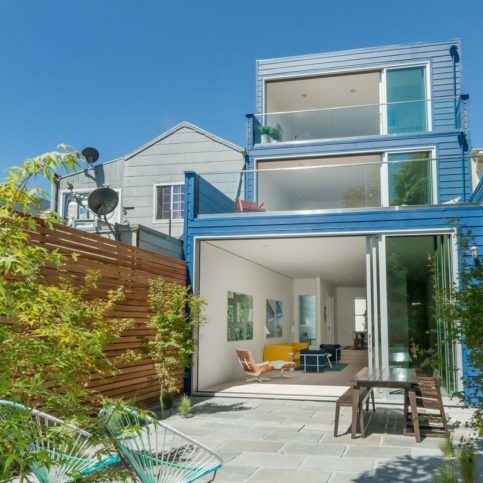 You just need to know how to you begin this search for a San Francisco deck and patio contractor? 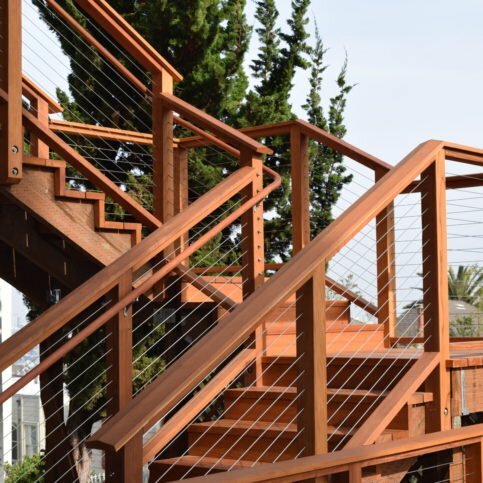 If you are ready to build a new deck or patio, you will make the right choice by choosing a San Francisco deck and patio contractor. 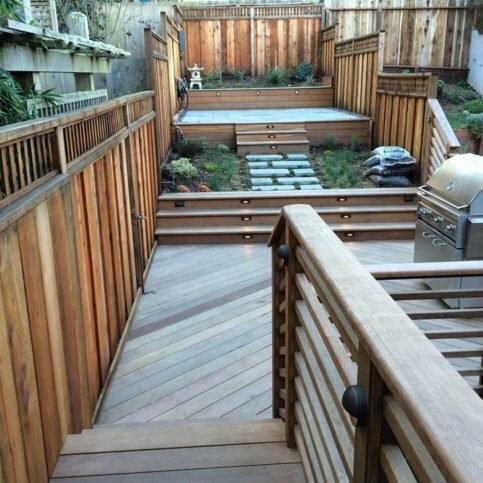 A San Francisco deck and patio contractor will work with you in designing a deck or patio that fits your needs. 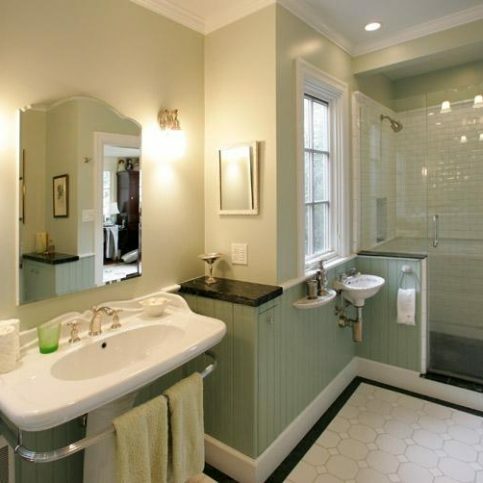 Be sure you have your budget planned so the contractor can work within your parameters. 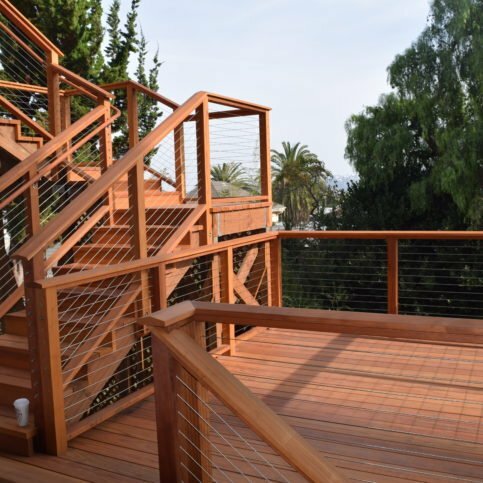 There are many other decking materials made from man-made products. Most are made of wood bits or sawdust mixed with recycled plastic. These are gaining in popularity simply because they require no maintenance other than power washing every two years or so. The problem with man-made decking material is that it tends to get very hot in the sun so you won’t be walking barefoot on it if you have tender feet. 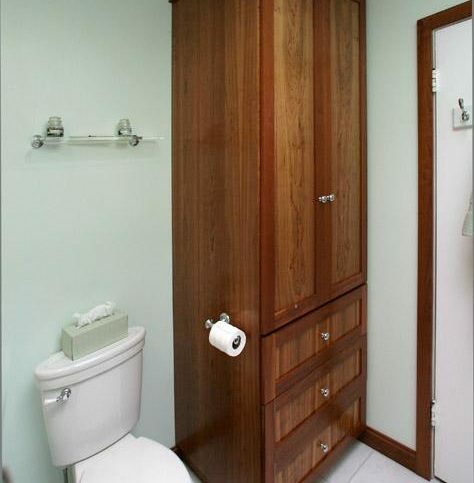 The other downside is that the color choices, while many, aren’t as plentiful as the wood deck stains that are available. You may prefer to build a patio. They are typically sloped to allow water to run off and you may not be required to get a city permit if you are building one. Since patios are not attached to your house, the permit requirements are different. 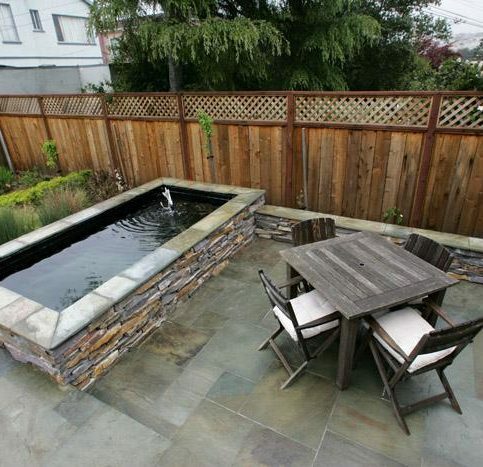 If you have chosen to build a patio, slate and concrete are the most common choices. Slate is very durable, however it isn’t maintenance free. Weeds can be a maintenance issue with your slate patio. Well-built patios stand up under extreme weather. They also, for the most part, require little maintenance. 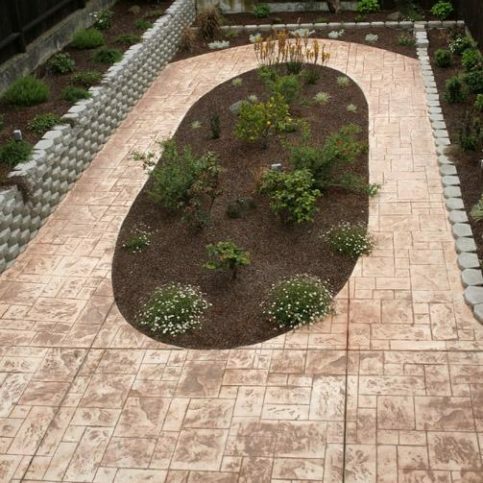 You can choose from a variety of materials for your patio including concrete, stamped concrete and brick. There are many choices when you choose concrete. You can get the common gray look or there is a variety of colors available. 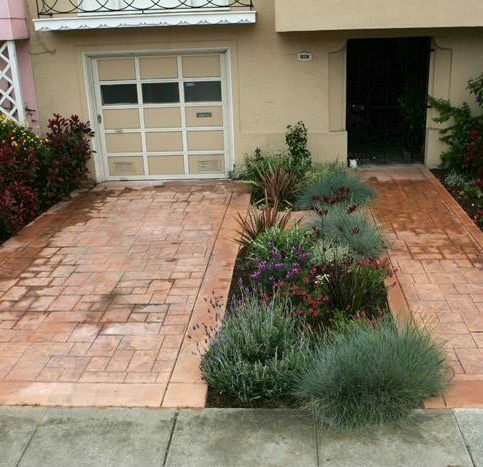 Although a bit more costly, colored stamped concrete is a great choice. It adds a pattern and even can look similar to slate, stone or brick. Color can also be added to concrete for a different effect. 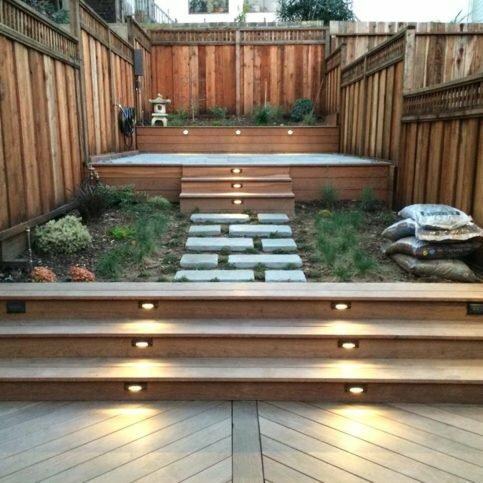 Once you decide to build a deck or patio, you may be in a hurry to hire a San Francisco deck and patio contractor to get the work started. Don’t rush. Take the time to research some local contractors to find the one that can do you the best job for you. It is always best to choose a Diamond Certified deck and patio contractor, but sometimes it isn’t possible. 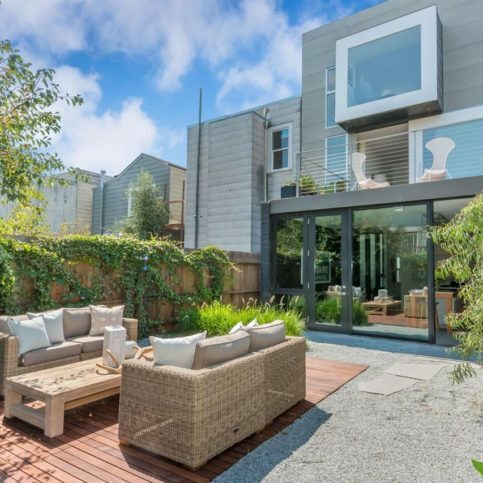 If you are unable to choose a Diamond Certified contractor in your area of San Francisco, then check out the deck and patio contractors on the Contractors State License Board website. It shows which contractors listed have active licenses and workers’ compensation insurance. This website also shows any grievances or complaints that have been filed with the state. Violations that may have occurred show on the contractor’s license record. Verify the company credentials. This will be easier to do if your contractor is a member of local organizations and associations. You will be able to see their past records and if any complaints or legal action has been filed. 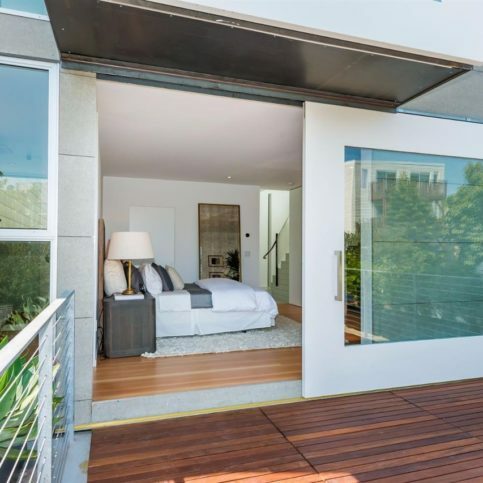 This information will enable you to make good choices when choosing a San Francisco deck and patio contractor. After you have done your research, talk with a few local contractors. Keep a list of written questions ready when you interview these contractors and write down the contractor’s answers. 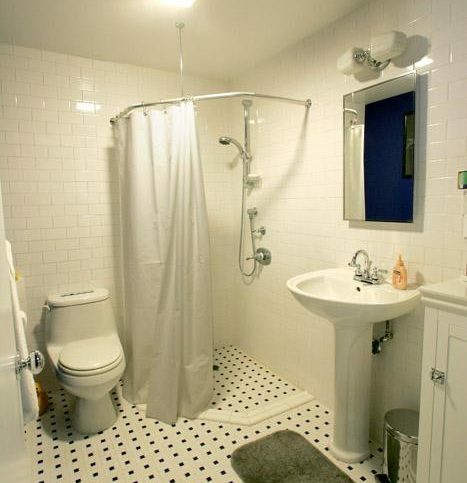 Before you get an estimate, the contractor will need to see the site of the job. A good deck contractor won’t give an estimate over the phone until they see the job. 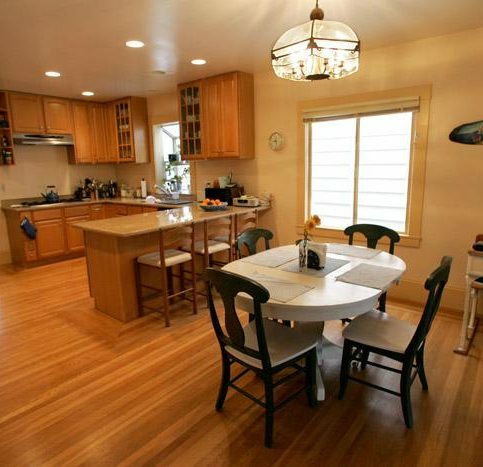 It is not necessary to have every contractor you interview give you an in-home estimate. 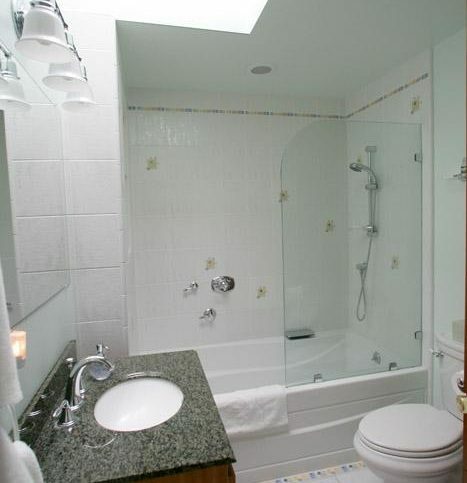 Get estimates from those contractors that you feel meet your expectations and can answer your questions. A beautiful and spacious redwood deck overlooking a lake. Spryscapes Construction recently built this deck. Spryscapes Construction recently completed this project. Spryscapes Construction installed this gate on a client’s deck. You need to decide and list the details of your deck or patio project. Be prepared to discuss the building material you have chosen. Other issues you will want to address are the colors you are looking for, the style and the timeline you are considering. 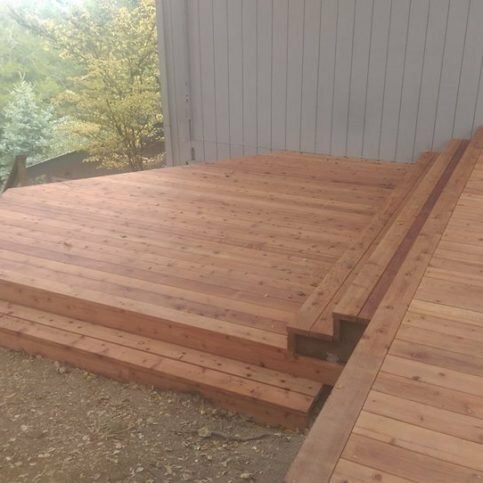 Is this new patio or deck project in our budget? 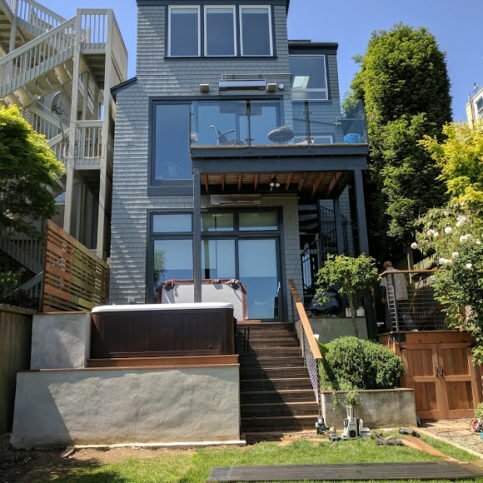 What personal and professional characteristics would I like my San Francisco deck and patio contractor to have such as good communication skills, timeliness, honesty, integrity, and reliability? 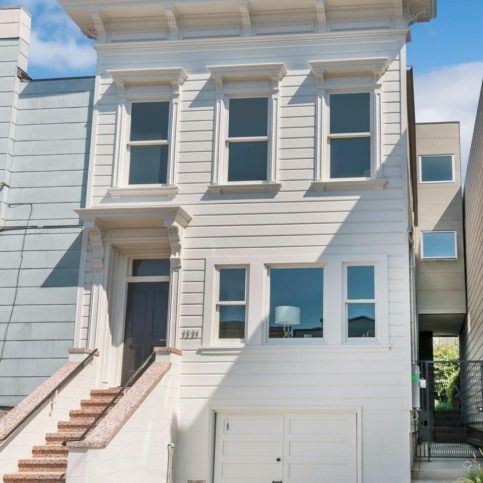 After you have narrowed your choices to a few of the best San Francisco deck and patio contractors, visit a few of these in person to meet their representative. When will you clean up the patio and deck building site? If permits are needed for my new patio and deck, who is responsible for getting them? Will you be hiring any subcontractors for any of the work on my new deck or patio? 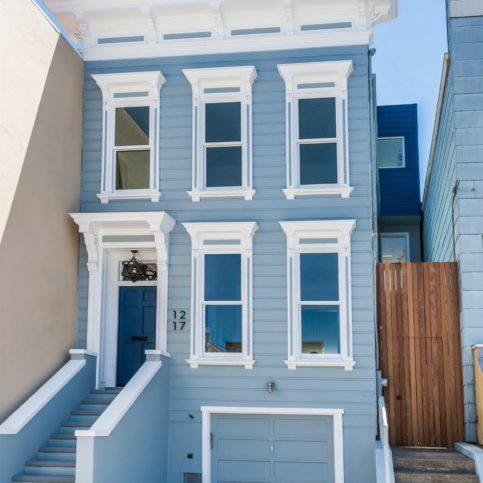 How many deck and patio jobs have you completed in San Francisco? It’s best to choose a Diamond Certified deck and patio contractor because all certified companies have passed an in-depth ratings process that most other companies can’t pass. 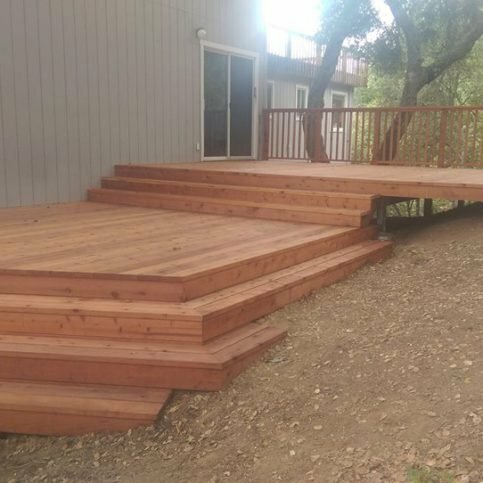 If you want quality from a deck and patio contractor in San Francisco, you can have confidence choosing a Diamond Certified company. If you can’t find a Diamond Certified deck and patio contractor within reach, you’ll need to do some research on your own. If you do, it’s wise to call some references provided by your deck and patio contractor. Keep in mind, though, that references provided to you by the deck and patio contractor are not equal in value to the large random sample of customers surveyed during the Diamond Certified ratings process. 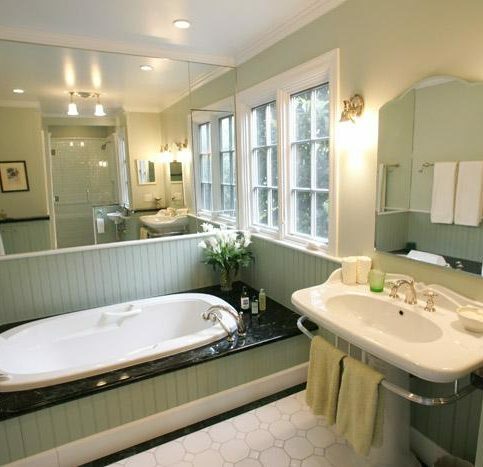 In fact, the contractors will likely give you a few customers to call that they know are satisfied. If you do call references on your own, ask specifically for a list of the deck company’s 10 most recent customers. This will help avoid them giving you the names of only customers they know were satisfied. 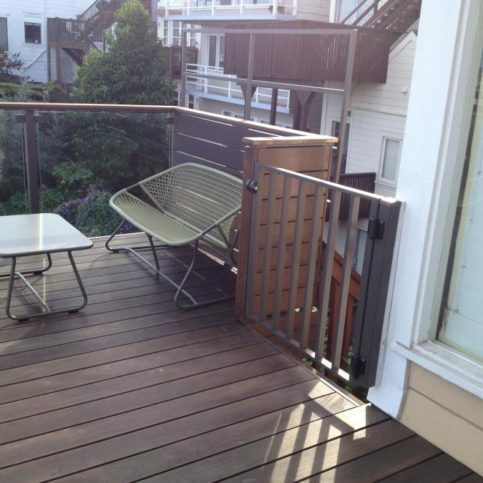 Were you satisfied with the services from this San Francisco deck and patio contractor? Your choice of a deck and patio contractor is an important decision. 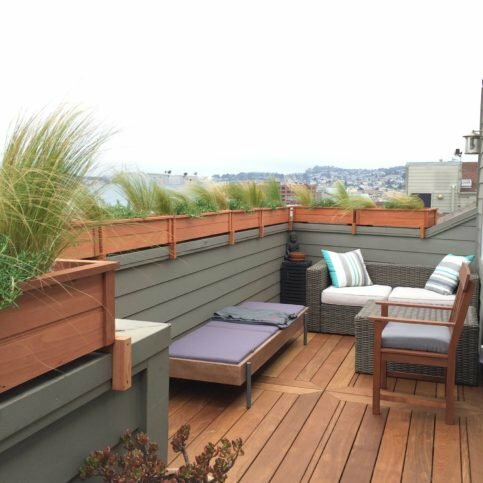 So before deciding on the best deck and patio contractor in San Francisco for you, it’s important to consider the following questions. 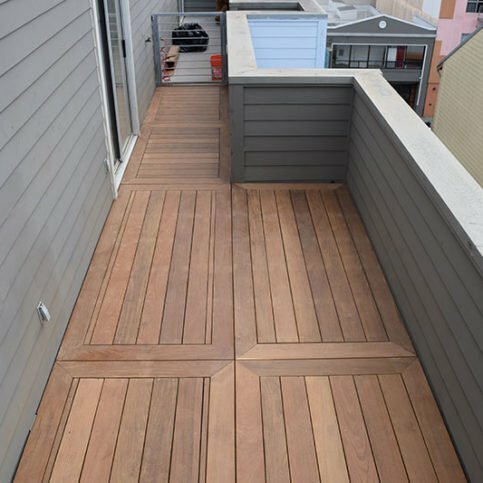 What does this San Francisco deck and patio contractor offer that is specific to what I need? 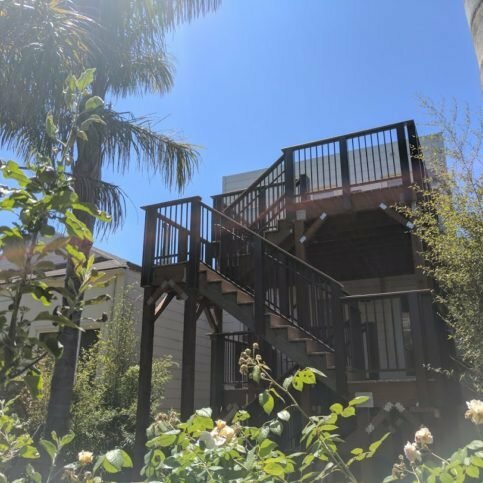 Can the deck and patio contractors in San Francisco meet your needs when it comes to scheduling, customer service and experience? Building a new deck or patio doesn’t need to be a major financial setback. Plan your budget and stick to it. 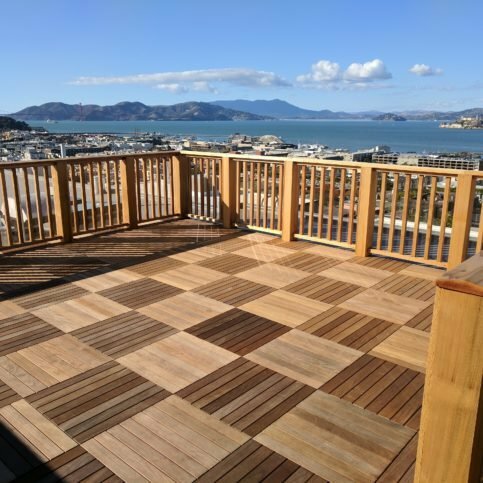 After you have found a San Francisco deck and patio contractor that you can trust, you will have peace of mind having your deck or patio built. Meet with the contractor and outline what your specific plan is for your deck or patio. Use the notes that you have taken so you can accurately describe any concerns that you have. 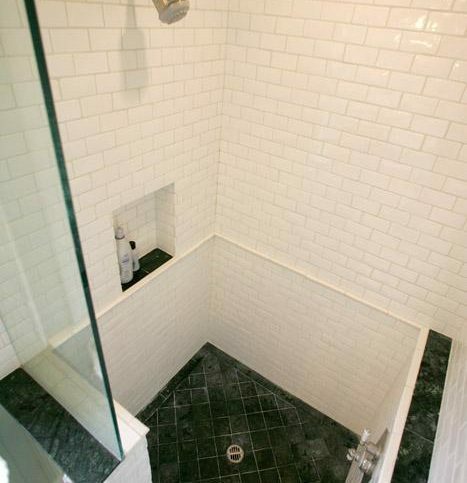 Be very specific with your details for the contractor and don’t rush into the project. It is as important for you to hear their suggestions and observations as it is for them to hear you. If you don’t understand something, ask for an explanation. You need to completely comprehend the plan and any problems or concerns you have. 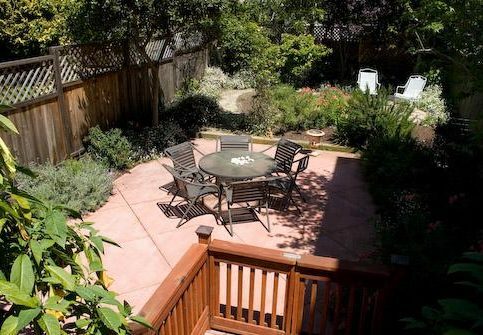 When you feel satisfied with the information you have received from your San Francisco deck and patio contractor, sign the contract. Be sure that they have a phone number where you can be reached at all times. It’s the deck and patio contractor’s responsibility to put in a quality deck or patio using the best possible installation techniques. 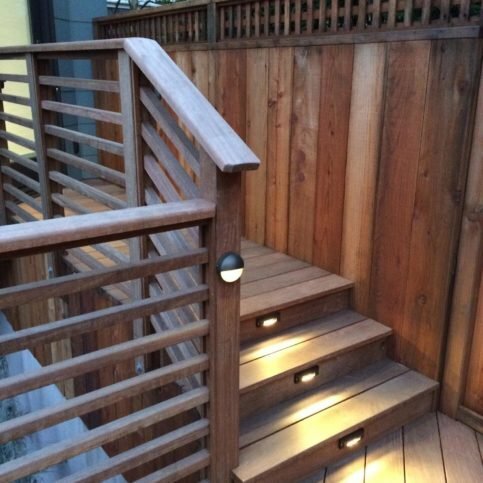 But you also play a big part in the success of the building of your deck and patio. 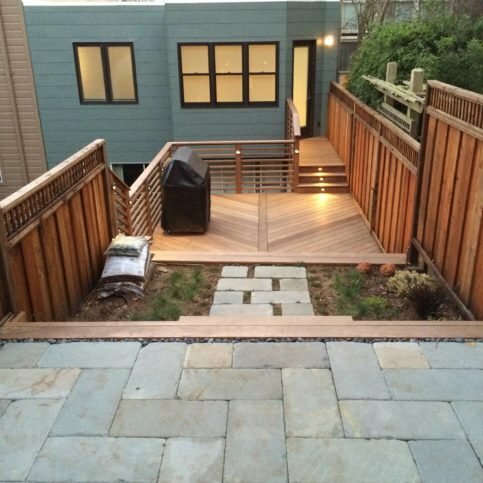 Here are a few simple steps you can take to be a good customer when hiring a San Francisco deck and patio contractor. 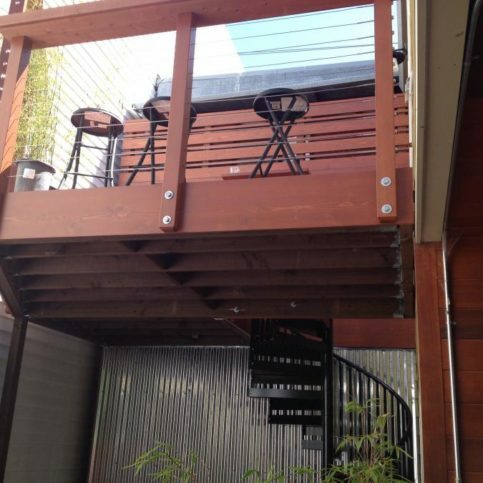 Ask your SF deck and patio contractor if you should call to check on the progress or if he will call you with updates. 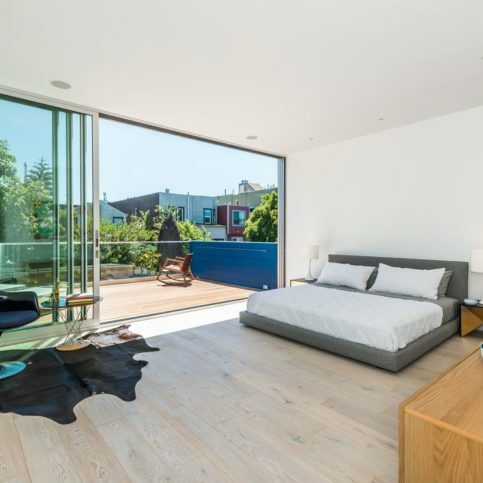 Before you hire a deck and patio contractor in San Francisco, restate your expectations and goals, and reiterate to the deck and patio contractor’s representative your understanding of the agreement. Most problems with local deck and patio contractors occur because of a breakdown in communication. By being clear about your expectations and theirs, you can avoid most conflicts. We all want to be good customers. 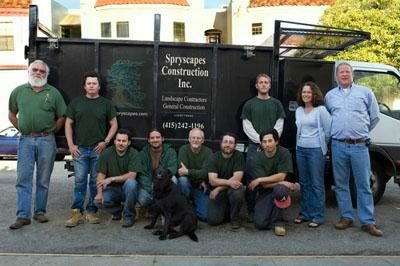 Deck and patio contractors in San Francisco appreciate customers who are straightforward, honest and easy to work with. Your good customer behavior sets the tone from your end and creates an environment conducive to a good relationship. This helps things go smoother and also helps resolve problems before they develop. When your deck or patio is complete, most contractors will give you a written invoice that details the completed work. The contractoris name, physical address and license number. It is wise to compare the completed work with the written invoice. 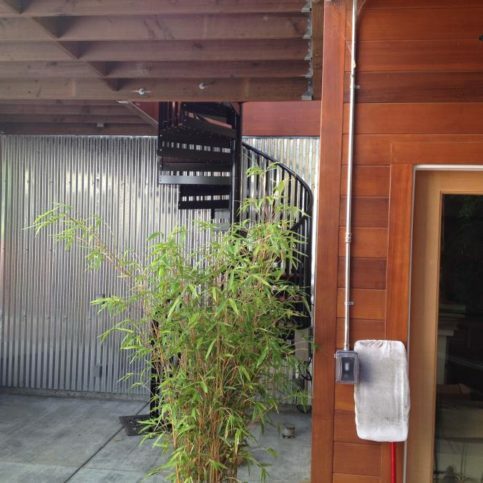 Ask your contractor to walk through the deck or patio with you and show you the work. Check the work with the invoice. 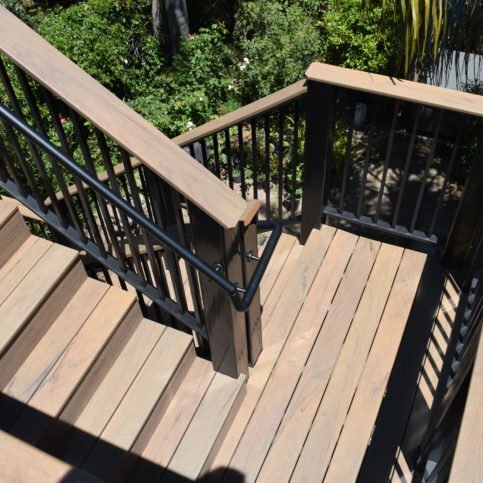 During the walk-through, ask if there are any special instructions for maintaining your new deck or patio. If you have any questions about the work or materials used to build the deck or patio, now is the time to ask. Most good deck and patio contractors offer some time of warranty on the deck or patio and the materials that are used to build it. Ask that the details of the warranty be provided to you in writing. The patio and deck contractor’s name and physical address. If the new deck and patio warranties are transferable to the new owner if you sell your home. 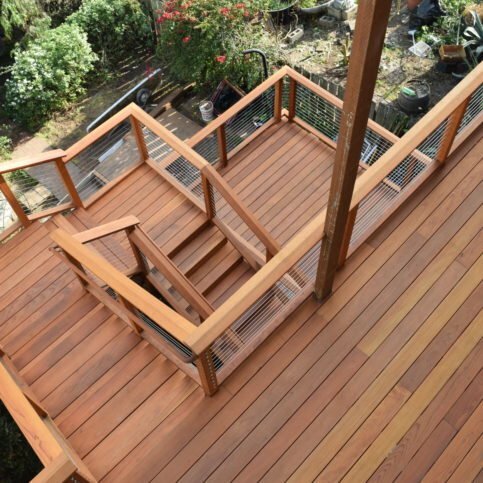 Is it time to replace your deck or patio or to add to your home by building a deck? You will want to know which type of deck is right for you. 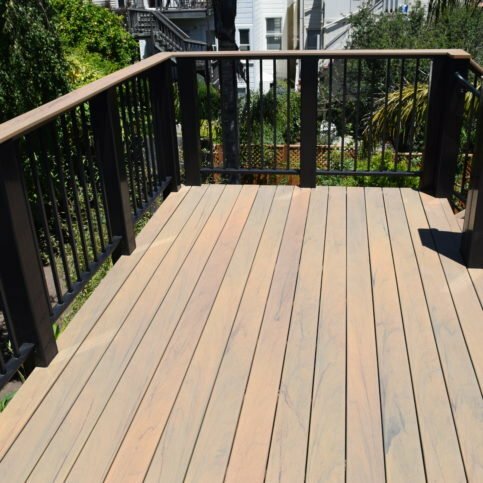 Deck and patio contractors in San Francisco offer a variety of materials for building your deck or patio. Some are more popular than others and the maintenance requirement also varies. The following are the most familiar requests.